The Beurs van Berlage breathes history and character. It was already a bustling trading place in 1903. Today it’s a one in a million conference location in the warm heart of Amsterdam, with high quality and service, an impressive atmosphere and excellent facilities. A fantastic location that you’ll never forget! Amsterdam has a lot to offer. As one of the most iconic capitals of Europe it is a magnificent setting for international conferences. The ICCA (International Congress and Convention Association) has declared it one of the most innovative congress cities in the world! Imagine the following: Narrow houses that exude history through their crooked and diverse constructions. Wandering along the romantic canals, you cross a bridge here and there, each with a different story. But you also see and feel innovation and energy. Modern districts, hip cafes and exuberant festivals. A metropolis full of history, vibrant culture and an open mind. Isn’t that the perfect setting for your conference or event? Amsterdam is surprisingly easy to reach. Did you know, for example, that the city center can be reached fifteen minutes from Schiphol Airport? There is no strict visa requirement and public transport works smoothly, both towards and from city. The extensive network of high-speed trains also provides rapid connections to, among other places, the United Kingdom, Belgium, France and Germany. Amsterdam is a city with character and class. The place where everyone wants to be! Since the year 1903 the Beurs van Berlage has been a charming international hotspot. 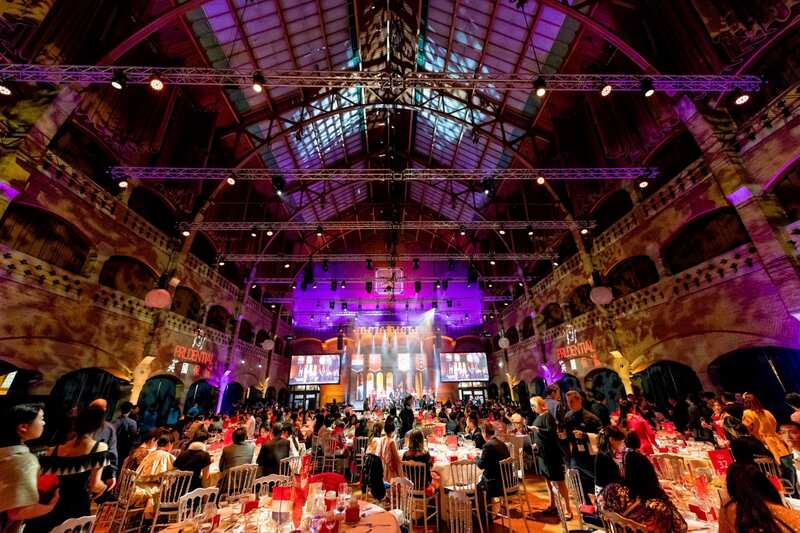 A building with grandeur in the soul of Amsterdam where special things happen on a daily basis: events, fairs, exhibitions and prestigious conferences. Do you want to organize a congress or event that will be remembered? Then the Beurs van Berlage is the perfect place. We have a wide selection of unique rooms that can be used for various purposes. To show you how impressive it can look ‘live’, we have put together a showcase of previous successful conferences and events. Do you prefer to-the-point information about, for example, the capacity of the rooms? Take a look here. You can be in the Beurs van Berlage in less than fifteen minutes from Schiphol Airport. Moreover, there are ample parking opportunities within walking distance.